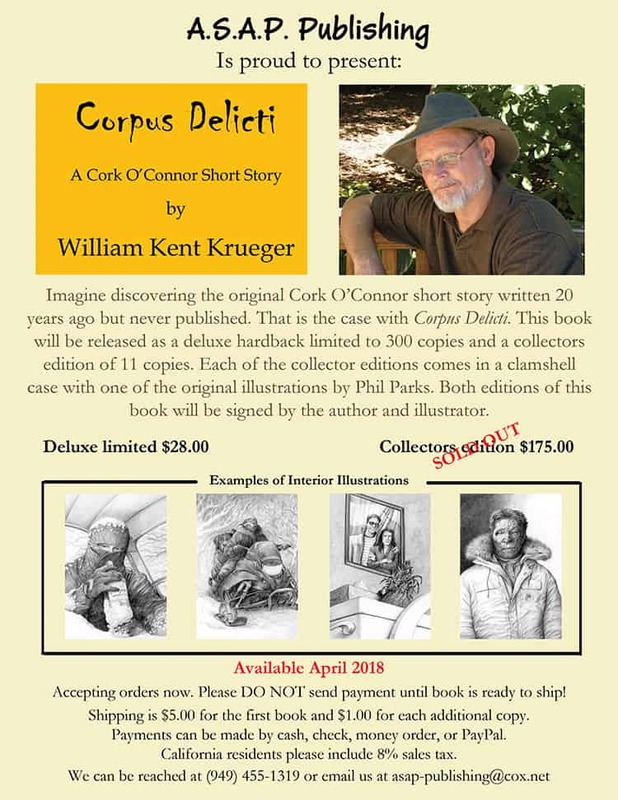 A “lost” Cork O’Connor short story will be published this spring as a limited-edition hardcover by A.S.A.P. Publishing. Email asap-publishing@cox.net if you’d like to reserve a copy! ← Next Post“Iron Lake” Turns Twenty! Hi, Kent. I met you at Sweet Reads in Austin, Mn a few weeks ago when you did a book signing and talk. I told you I hadn’t read your book, Ordinary Grace, at that time, although I have read all of the Cork O’Connor books. Since then I have read it and it is every bit as good as reported by others. It is beautifully written–moving and intriguing at the same time. Just wanted you to know how I felt about the book. Thanks for writing it!